Who: John Kohler – John Kohler has been on raw fruit and vegetable centric diet since 1995; he changed his diet after recovering from a life threatening-illness (spinal meningitis) and has enjoyed dynamic health ever since. The focus of his research has been in the area of obtaining the highest level of health. One of John’s goals is to educate the world about the power of eating a diet rich in fresh fruits and vegetables. Most of John’s teaching are done online – John has over 1900 free videos on YouTube that have been viewed over 60 million times. The videos teach about growing and eating a fruit and vegetable centric diet. 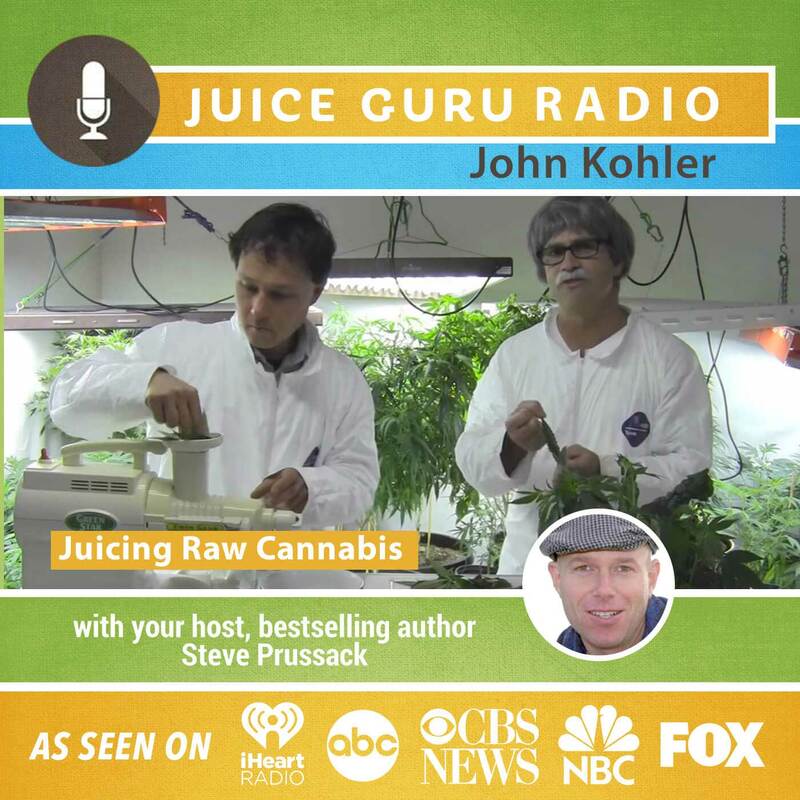 What We Talked About: Health expert John Kohler discovered incredible benefits juicing the cannabis plant. Hear how he developed superhero powers on a cannabis juice experience.Wild juicing tales. Why I Like John: John Kohler is extremely knowledgeable, non-pretentious and hilarious. He educates in a fun and energetic style and is just plain likable. He’s the kind of guy that is the life of any juicing party. Great Line: I’m high on life 24-7. So to be high on cannabis juice left me not liking the feeling. My high alkaline fruit and vegetable diet with copious amounts of greens makes me love my life as it is…. Living at such a high level I found that drinking this juice actually brought me down.